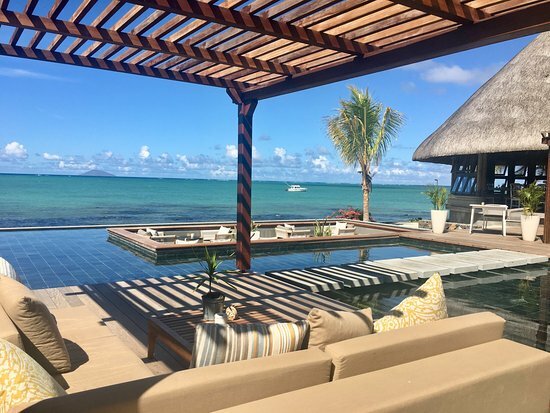 With the 50th anniversary of independence in 2018, many of Mauritius’ luxury hotels have undergone extensive refurbishments and include luxury spa facilities. We review a number of the options here. The breadth of treatments and therapies available reflect the mosaic of cultures that have influenced the island over the years. A pioneering vision from British interior designer Kelly Hoppen delivers a sophisticated but informal retro-chic lifestyle. 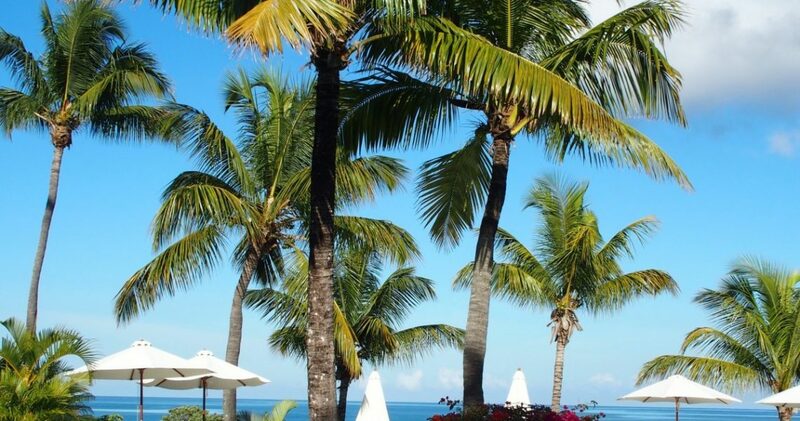 Amid lush tropical gardens, LUX* Grand Gaube is enveloped by undulating coves, calm lagoons and two tranquil beaches. Generously proportioned rooms with balconies or terraces and showstopper villas with private pools and gardens all come with Indian Ocean vistas. Fabulous restaurants and bars offer a traditional Creole smokehouse with rum treehouse, open sushi kitchen, a Pisco bar and a buzzy beach club. There’s an abundance of places to relax or refuel and extensive sports and wellness facilities including two spectacular pools, a sensational new spa, fitness, tennis academy, golf and water sports. You can also take inspirational classes and expert-led workshops. The LUX* Me’s three-day vitality experience combines spa treatments with fitness, relaxation, nutrition and healthy eating, while LUX* Me Zhengliao healing practice, developed by the Chinese Clinic Daoji, encompasses all aspects of health and wellbeing. The 25-cabin Nira Spa at Shanti Maurice has added the Magnesium Sleep Therapy treatment to its range. With magnesium-infused oil which releases melatonin – the body’s sleep hormone –and aromatherapy oils, this treatment lulls guests into peaceful slumber. 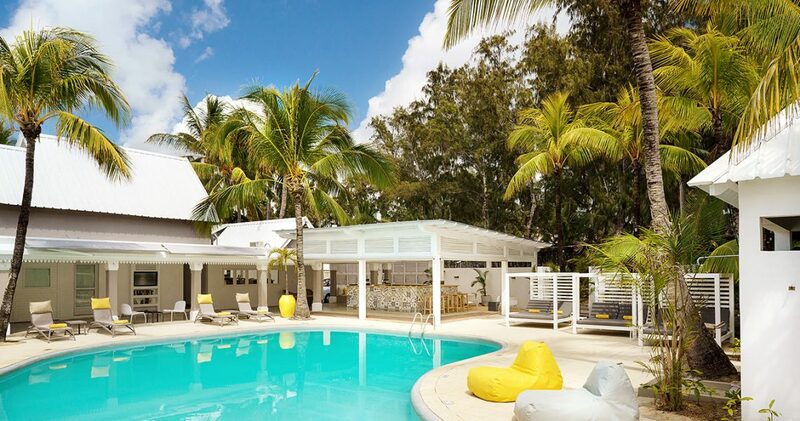 The One&Only Saint Géran was fully refurbished in 2017, with brand new suites, pool areas, fitness and spa offerings and culinary experiences. The stunning resort on the Belle Mare Peninsula is perfect for guests seeking luxury accommodation with incredible service and a colonial style. Beautiful suites face either the Indian Ocean or lagoon, with gardens running down to the edge of the coral sand beach. With new and transformed restaurants, dining is an experience to remember. A water sports pavilion offers a variety of activities from small catamarans to glass-bottom boat trips while a state-of-the-art fitness centre, two Padel Courts, tennis, mini-golf, football, a spinning room, and a multi-activity room are available for those wishing to keep fit. The One&Only Spa has serene private gardens and relaxing treatment rooms and three swimming pools, including one stunning example at the tip of the peninsula. 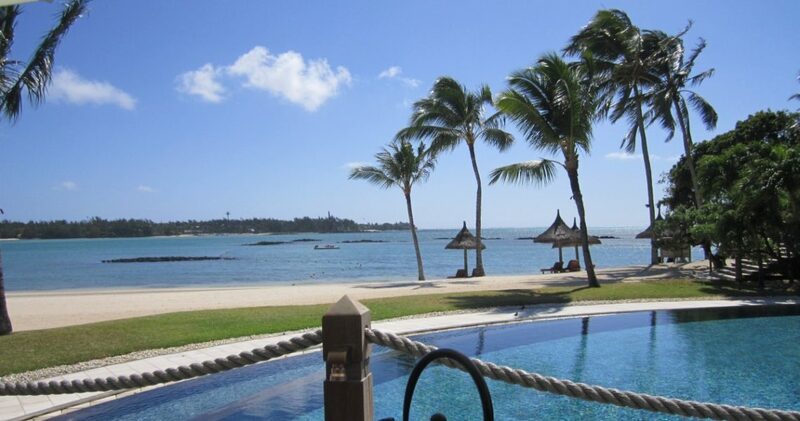 Attitude runs seven hotels and resorts in Mauritius, several of which have recently been fully refurbished. Coin de Mire Attitude reopened in October 2017 after a three-month renovation. The hotel now has 122 newly decorated rooms including nine family apartments. The refurbishment also brings the addition of the Mauritius Kot Nou restaurant, allowing travellers to taste the typical fresh and spicy local cuisine. The Spa Attitude offers massages, body care and facials, with two single and one double treatment rooms, one of which has an effusion shower. 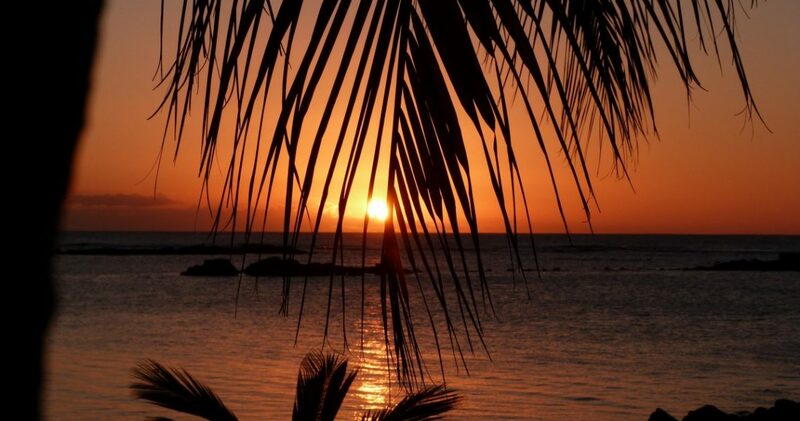 Treatments are based on Mauritius’ sun, sea, soil, and plants. Natural products and essential oils are used in all beauty treatments. Staff tailor treatments according to guests’ wishes, needs and emotions and Spa Attitude offers a complete range of massages, body care and facials together with its four signature treatments: Earth Attitude, Sea Attitude, Sun Attitude and Flora Attitude. In September 2017, Tropical Attitude welcomed its first guests after its extensive renovation into an adult-only 3*+ Boutique Hotel. The refurbishment introduces a new bar lounge, renovated swimming pool area, contemporary and luminous decoration. The 58 seaview rooms are uncluttered, refined and spacious with white, minimal, natural colours. Heritage Le Telfair reopened inSeptember 2017 as Heritage Le Telfair Golf and Wellness Resort, a tropical island escape with redesigned common areas, suites and rooms, all with a dedicated butler and personal beach attendants. A clef d’or concierge is available to ensure every customer request is not only met, but expectations are exceeded. 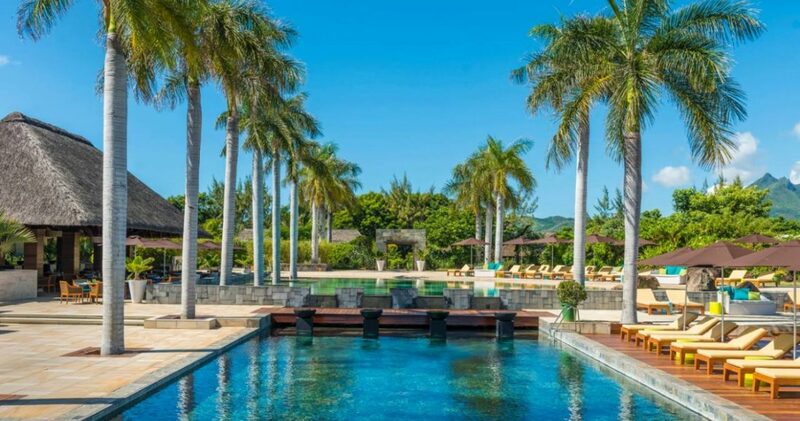 Heritage The Villas is set in the sumptuous 2500ha Domaine de Bel Ombre, in the unspoilt southern part of Mauritius with views of the serene tropical landscaped gardens, the Fréderica Nature Reserve and the Indian Ocean. Families, groups of friends and golfers will enjoy the independence and privacy of a villa. Villa guests have access to the services and amenities of Heritage Le Telfair and Heritage Awali and the award-winning Heritage Golf Course. The Seven Colours Spa Village offers personalised fitness programmes inspired by chakra philosophy, including treks in the beautiful surroundings of Frédérica Nature Reserve. It draws on the island’s natural richness as well as local knowhow and multicultural influences. More than a spa experience, Seven Colours Spa Village offers a holistic approach to wellness with each guest being treated with personalised care and guidance. At a prime location on the sunny and sheltered north west coast, the hotel is set within a historic 25ha estate and has 212 luxurious rooms and suites, as well as an exclusive villa, all sea-facing. There are five restaurants and two bars, ranging from feet in the sand beach venues to Asian fusion and the fine dining Château Mon Désir. Maritim Mauritius offers a range of land and water sports including horse riding, golf, archery, water skiing, diving and more. The award-winning Tropical Flower Spa uses essential oils and elixirs of flowers and plants grown on the estate, offering a tranquility area where guests can relax behind a cascading waterfall.